The Robert Owen Museum is a small, independent museum in Newtown, celebrating the life, ideas and legacy of Robert Owen. His ideas led to the formation of the Co-operative movement and he was an instigator of free education for workers’ children. He is an internationally known and respected thinker and reformer, so the museum, in his birthplace, is visited by people from across the world. This is an exciting time for the Museum, as we are looking to deepen our co-operation with the Co-operative Heritage Trust, which could lead to major developments in both the role of the Museum and the building it is based in. The Museum is supervised by a small Officers Group, and we would be interested to hear from you if you were interested in joining. Ideally we would be looking for two people to join the existing group of five volunteers. 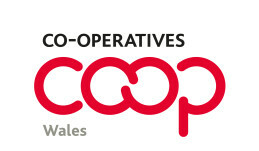 Roles can be flexible and we meet every six weeks or so – all you need is an interest in Robert Owen and/or the Co-operative movement and the ability to get to Newtown !